The story – also known as The Black Priest or The Black Abbot – is set in 1896 in the mysterious Brittany region of northwest France. Richard Darrel, a wealthy American knickerbocker (upstate New York gentry) has bought a Breton estate with assorted household staff. He lives there with his beautiful (of course) wife Lys, a native of Brittany. 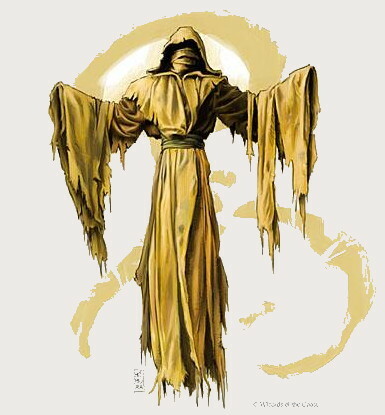 In that spirit and in keeping with my blog’s overall theme here’s a look at an 1895 work of Gothic horror that is among my favorite Halloween reading material, The King in Yellow by Robert W Chambers. This unjustly neglected book was praised by H.P. Lovecraft himself and has been called America’s most influential volume of horror between Poe and the moderns.